[Z1AE-MC92XX-3C00] ZEBRA ONECARE ESSENTIAL PURCHASED WITHIN 30 DAYS OF DEVICE. [Z1AE-MC33XX-3C00] 3 YEAR(S) ZEBRA ONECARE ESSENTIAL, 3 DAY TAT, PURCHASED WITHIN 30 DAYS, WITH COMPREHENSIVE COVERAGE. [Z1AE-VC70XX-3C00] 3 YEAR(S) ZEBRA ONECARE ESSENTIAL, 3 DAY TAT, FOR VC70XX, PURCHASED WITHIN 30 DAYS, WITH COMPREHENSIVE COVERAGE. INCLUDES COVERAGE FOR KEYBOARD. 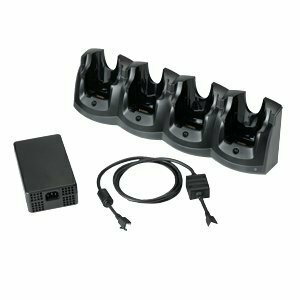 [EAAS-CRSLT4-3CD3] 3 YEAR(S) ZEBRA ONECARE SELECT, ADVANCED REPLACEMENT, FOR 4 SLOT CRADLE, PURCHASED WITHIN 30 DAYS, WITH COMPREHENSIVE COVERAGE. INCLUDES FASTRACK DOORSTEP EXCHANGE (UK ONLY). [EAAS-LS3408-1CD3] 1 YEAR(S) ZEBRA ONECARE SELECT, ADVANCED REPLACEMENT, FOR LS3408, PURCHASED WITHIN 30 DAYS, WITH COMPREHENSIVE COVERAGE. INCLUDES FASTRACK DOORSTEP EXCHANGE (UK ONLY). [EAAS-TC52XX-35D3] 3 YEAR(S) ZEBRA ONECARE SELECT, ADVANCED REPLACEMENT, FOR TC52XX, PURCHASED WITHIN 30 DAYS, WITH COMPREHENSIVE COVERAGE AND REFRESH FOR STANDARD BATTERY. INCLUDES FASTRACK DOORSTEP EXCHANGE (UK ONLY). INCLUDES COMMISSIONING. [EAAS-TC52XX-53D3] 5 YEAR(S) ZEBRA ONECARE SELECT, ADVANCED REPLACEMENT, FOR TC52XX, PURCHASED WITHIN 30 DAYS, WITH COMPREHENSIVE COVERAGE AND PREMIER MAINTENANCE FOR STANDARD BATTERY. INCLUDES FASTRACK DOORSTEP EXCHANGE (UK ONLY). INCLUDES COMMISSIONING. [EAAS-TC55XX-1CD3] 1 YEAR(S) ZEBRA ONECARE SELECT, ADVANCED REPLACEMENT, FOR TC55XX, PURCHASED WITHIN 30 DAYS, WITH COMPREHENSIVE COVERAGE. INCLUDES FASTRACK DOORSTEP EXCHANGE (UK ONLY). INCLUDES COMMISSIONING. [EAAS-TC57XX-35D3] 3 YEAR(S) ZEBRA ONECARE SELECT, ADVANCED REPLACEMENT, FOR TC57XX, PURCHASED WITHIN 30 DAYS, WITH COMPREHENSIVE COVERAGE AND REFRESH FOR STANDARD BATTERY. INCLUDES FASTRACK DOORSTEP EXCHANGE (UK ONLY). INCLUDES COMMISSIONING. [EAAS-TC57XX-55D3] 5 YEAR(S) ZEBRA ONECARE SELECT, ADVANCED REPLACEMENT, FOR TC57XX, PURCHASED WITHIN 30 DAYS, WITH COMPREHENSIVE COVERAGE AND REFRESH FOR STANDARD BATTERY. INCLUDES FASTRACK DOORSTEP EXCHANGE (UK ONLY). INCLUDES COMMISSIONING. [EAAS-TC57XX-5CD3] 5 YEAR(S) ZEBRA ONECARE SELECT, ADVANCED REPLACEMENT, FOR TC57XX, PURCHASED WITHIN 30 DAYS, WITH COMPREHENSIVE COVERAGE. INCLUDES FASTRACK DOORSTEP EXCHANGE (UK ONLY). INCLUDES COMMISSIONING. [EAAS-TC72XX-5CD3] 5 YEAR(S) ZEBRA ONECARE SELECT, ADVANCED REPLACEMENT, FOR TC72XX, PURCHASED WITHIN 30 DAYS, WITH COMPREHENSIVE COVERAGE. INCLUDES FASTRACK DOORSTEP EXCHANGE (UK ONLY). INCLUDES COMMISSIONING. [EAAS-TC77XX-5CD3] 5 YEAR(S) ZEBRA ONECARE SELECT, ADVANCED REPLACEMENT, FOR TC77XX, PURCHASED WITHIN 30 DAYS, WITH COMPREHENSIVE COVERAGE. INCLUDES FASTRACK DOORSTEP EXCHANGE (UK ONLY). INCLUDES COMMISSIONING. [EABS-TC83XX-33D3] 3 YEAR(S) ZEBRA ONECARE SELECT, ADVANCED REPLACEMENT, PURCHASED AFTER 30 DAYS, WITH COMPREHENSIVE COVERAGE AND PREMIER MAINTENANCE FOR STANDARD BATTERY. INCLUDES FASTRACK DOORSTEP EXCHANGE (UK ONLY). INCLUDES COMMISSIONING. [EARE-DS3578-2CB0] 2 YEAR(S) ZEBRA ONECARE ESSENTIAL, 3 DAY TAT, FOR DS3578, RENEWAL, WITH COMPREHENSIVE COVERAGE. INCLUDES CONSIGNED BUFFER STOCK. 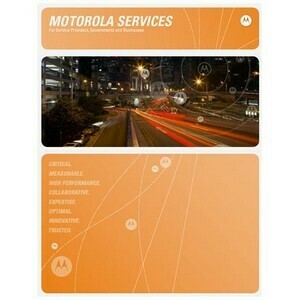 [EARE-MC55XX-1CB0] 1 YEAR(S) ZEBRA ONECARE ESSENTIAL, 3 DAY TAT, FOR MC55XX, RENEWAL, WITH COMPREHENSIVE COVERAGE. INCLUDES CONSIGNED BUFFER STOCK. [EARS-CRSGL1-2CD3] 2 YEAR(S) ZEBRA ONECARE SELECT, ADVANCED REPLACEMENT, RENEWAL, FOR SINGLE SLOT CRADLES. WITH COMPREHENSIVE COVERAGE AND FASTRACK DOORSTEP EXCHANGE (UK ONLY). [EARS-MC33XX-13D3] 1 YEAR(S) ZEBRA ONECARE SELECT, ADVANCED REPLACEMENT, RENEWAL, WITH COMPREHENSIVE COVERAGE AND PREMIER MAINTENANCE FOR STANDARD BATTERY. INCLUDES FASTRACK DOORSTEP EXCHANGE (UK ONLY). INCLUDES COMMISSIONING.